To get that out of the way upfront: Assembla does not refer to the similarly named programming language, but still is important for designers and developers alike. If you run a web design and development business and work with diverse clientele, or manage a team of web developers working across projects, you must already be aware of the importance of proper collaboration. In the absence of collaboration among members of the development team, the quality of output will suffer manifolds. Of course, several tools exist to help you collaborate with your team: we have Git, Dropbox, task management apps, and what not! However, what if you need something that serves as an umbrella service, ensuring tight integration with other services, and helping you boost your workflow and relationship with your clients? Allow me to introduce you to one such service: Assembla. In simple words, Assembla is a set of SaaS tools meant for web development teams that work in the cloud (which refers to virtually every web development team nowadays). On the one hand, Assembla lets you host and manage your client projects in one place, wherein you can invite your team members to work on it and your customers to follow it along. On the other hand, Assembla integrates tightly with Apache Subversion hosting, Git, P4, Dropbox, etc. Since Assembla intends to make lives easier for development teams, it offers a range of task management and team collaboration features. You can manage your portfolio, and work better with members of your team, clients and service providers. Basically, Assembla works by organizing your workspace in a better manner. The Workspaces product of Assembla, as the name suggests, offers a “workspace” for your distributed team to work together on projects. You get task and issue management features, where you can launch projects, organize releases, fix bugs in your code, and so on. All in all, this is where your actual “workflow” would happen, and Assembla helps you work efficiently. For instance, every conversation happens using a ticket, wherein you can specify details such as code, issues, etc. Tickets can be filtered through priority or status. But beyond that, Assembla offers the tested and proven Kanban model for work management. Looking at the success of popular task management tools such as Trello, it is obvious that the Kanban model is ideal for the job, and Assembla does not reinvent the wheel, but rather, integrates it within its workspace. Now, to better improve your workflow, Assembla spices up the workspace by adding team collaboration tools, modeled along classic services such as wikis, message boards, etc. You can share files directly, or follow the activity stream to keep a track of the ongoing actions. In-situ conversations in Assembla work much like they would in any other collaboration tool, for instance, Slack. You can mention people by @name, and that will grab their attention by notifying them. In-ticket conversations happen using comments, tags, and filters, and you can get a simplified view of all activity by looking at the timeline. Plus, you can also share files and code snippets right within Assembla, and your team members can comment on and respond to them accordingly. Obviously, Assembla Workspaces is an ideal tool for managing distributed web development teams. 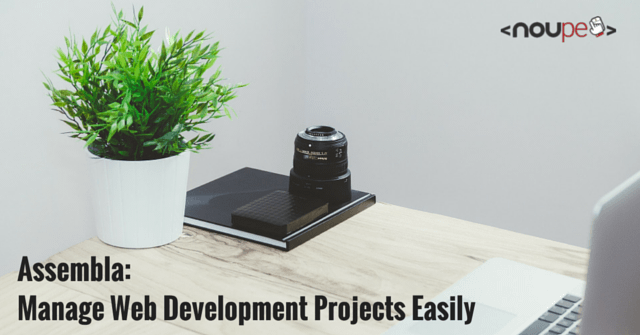 Since your entire project rests in the same workflow, you can save a lot of time that would otherwise be wasted in back and forth emails and other mundane tasks. Transparency, because if your business and work model is not open, you are giving the client no reason to trust you. Customer satisfaction, because an unhappy client is something nobody wants. Efficiency, not just concerning work but also efficient delivery and tracking of time. A delayed project helps no one. The question is, can Assembla help you accomplish the above aspects? Since Assembla Portfolio’s client view allows clients to follow the progress of the project and interact with you directly, it fosters a transparent workflow that is beneficial for everyone. Your customers are happy because they get an overview of the project, and at the same time, you do not have to worry about any form of miscommunication either. In fact, Assembla lets you create special access rules for clients. You can give them “watcher” access that lets them do just that — watch and keep an eye on the project, but modify nothing. And for your team members, you can specify custom access rules too — for example, if a person does not need to work with source code or Git, you can deny them that access and retain other access rules. Secondly, better communication channels mean that you can actually listen to the client, and invite them to participate in prioritization in an agile way as market realities change, and make changes to your project as you go along. Also, with the increased visibility, you will alleviate billing issues and disputes. Clients are “in the loop” and approve every task, and Assembla Portfolio then integrates with your billing solution so that line items match the tasks names that were approved during the month. Such form of relationship is surely a step towards customer satisfaction. Lastly, Assembla definitely helps regarding efficiency. You can collaborate to set an agenda for the day, decide what needs to be done, prioritize your workflow, focus on what the client wants, and ensure better delivery of projects in time. Assembla Portfolio’s pricing model is as simple as it gets: it costs $10 per user, per month, and it includes all the features: task issue and project management, integration with billing systems, workflow templates, client access, unlimited workspaces, as well as custom domains and branding so that clients see an interface that is branded with your logo, etc. There is a seven-day free trial option as well, and you can try a full-featured version of Assembla during that time, without having to provide your payment or billing details. Naturally, Assembla Portfolio is an ideal tool for working with your clients and managing user projects, and it gets full marks for that purpose. However, Assembla goes out of the way to make developers’ lives easier. For example, it offers great Subversion and Git hosting and lets you browse code, manage merge and pull requests, as well as deal with bugs in your code directly. Plus, with SSH tools, CDN, and redundant data handling, Assembla is something you can trust for your projects. In fact, when it comes to deploying code, Assembla works at par with various other developer-only services. If you are managing or are part of a web development team, be it a distributed team of individual coders or an agency, Assembla is a service that you should surely check and give a spin. 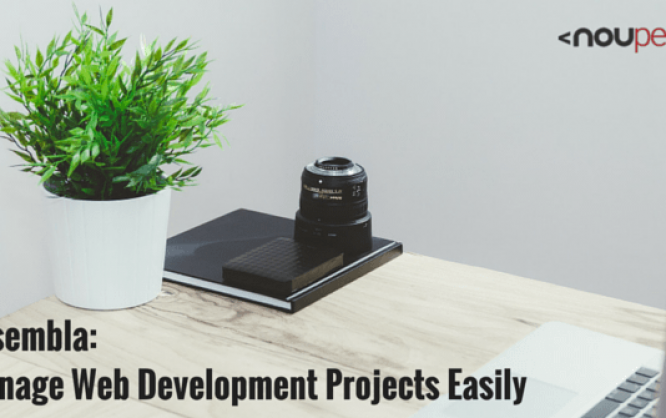 It can do wonders for your workflow and project management, and even help you build better relationships with clients. What do you think of Assembla? Share your views in the comments below!